Teacher Appreciation Week was last week at my children’s school and I am late. There is a lot happening here at SuperMOMdel World Headquarters. Matter of fact, I have not even posted a Freestyle Friday Craft in more than a month. Do you forgive me? Thank you , I need lots of grace! My children have really great teachers. Next week, is the last day of school. Last night, I starting my “Growth” project. Now here is my disclaimer. I do have a “supplies” list but as the project progressed it took on a life of its own. I made a lot of adjustments mid way but still want to give you options. I purchased a set of 3 small flower pots for $1. 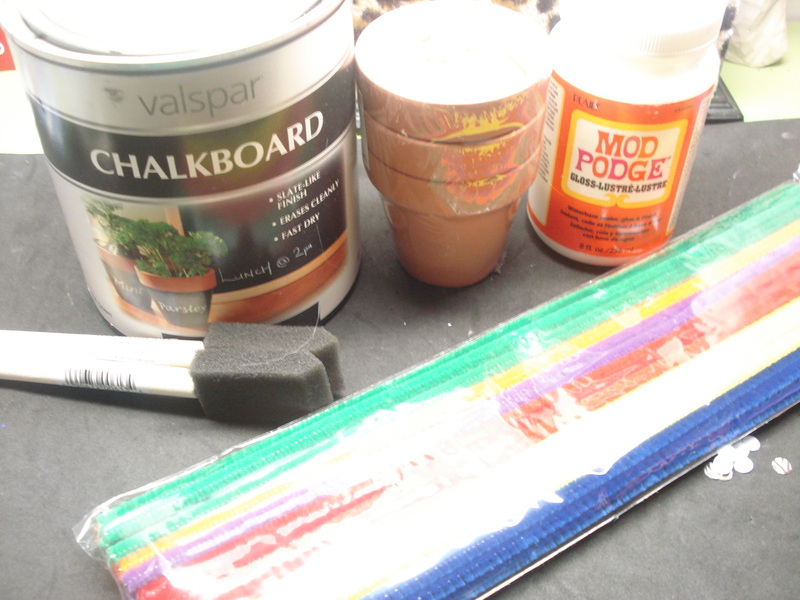 I used chalkboard paint I picked up from Lowe’s. It took about two coats, less than 20 minutes to dry. Around the rim of the flower paint I used white acrylic paint to cover the areas where the chalkboard paint spilled over. 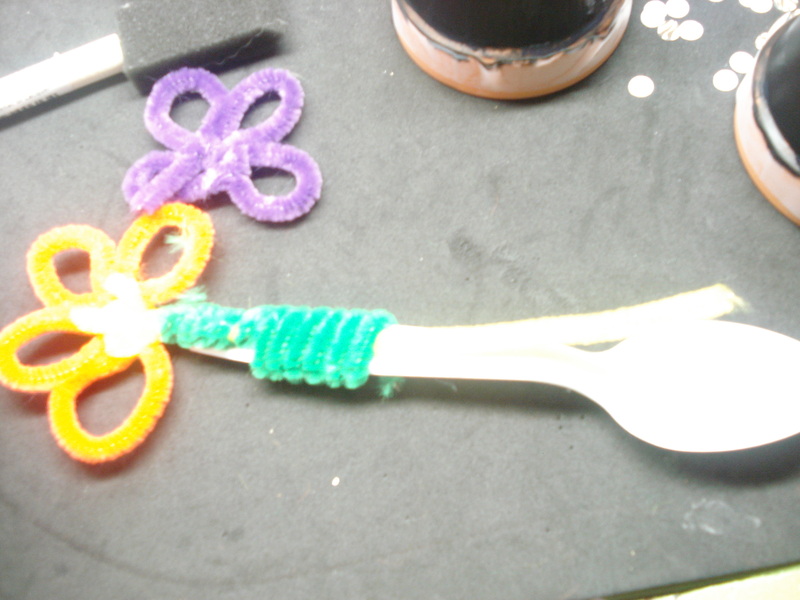 When I started this project I had my own ideas on how to make a flower out of a pipe cleaner. 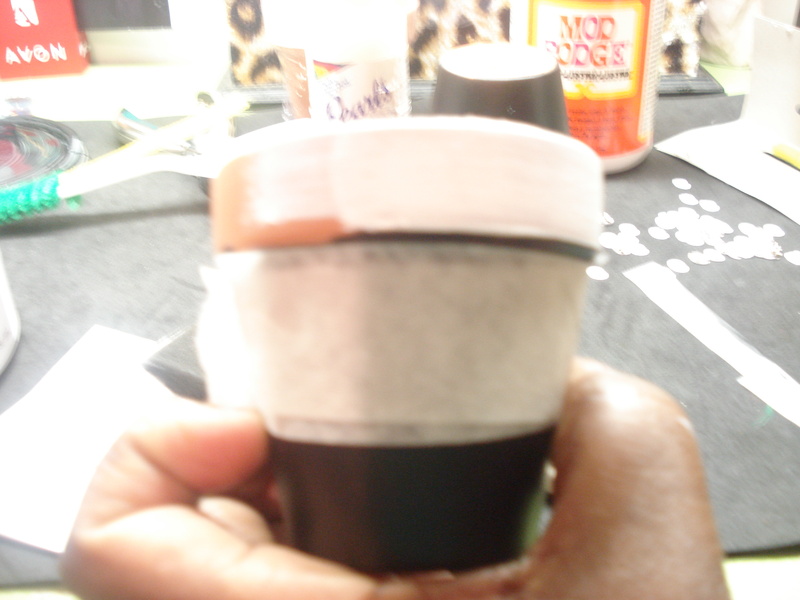 As you can see from the above it came out “ok” but there is a great tutorial online. Thank God for Google. You can watch the video here. I followed the tutorial. 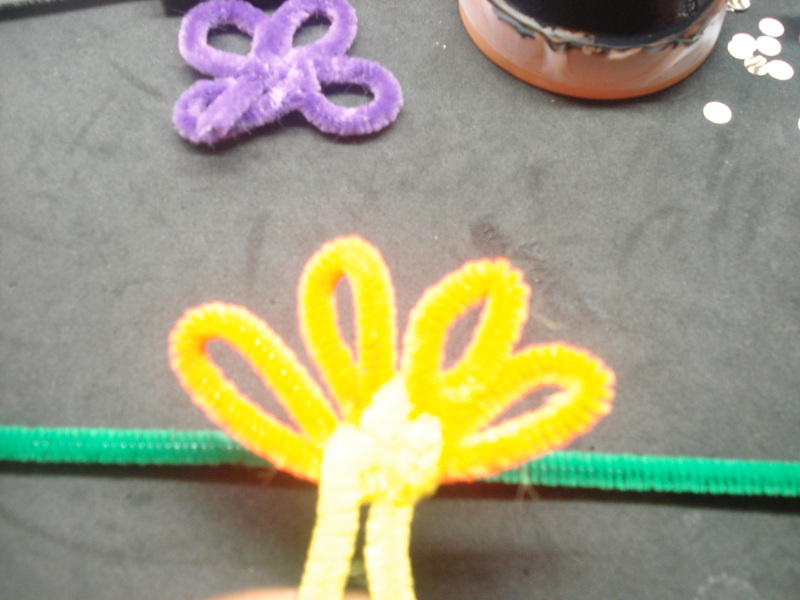 It was very easy but I thought the flower would be too busy. 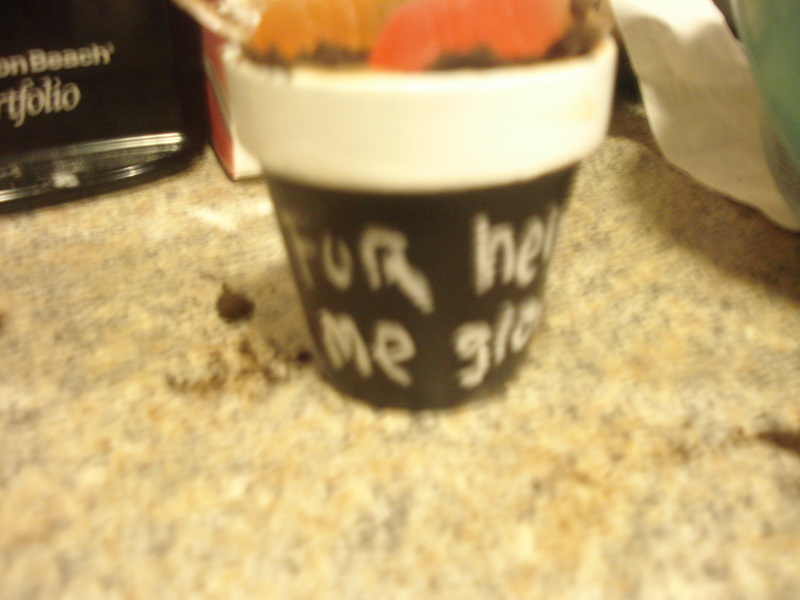 Now that the flower pots are dried it is time to mix up the “Dirt” pudding for the inside. I first heard about “Dirt” pudding when I was working freelance at a Law Firm. We were having a party for one of our colleagues and wanted something fun. One of the women made this pudding in a bucket and served it with a shovel. Super cute presentation, trust me on this one. Mine is the quick and “dirt(y)”, (no pun intended) version. You can see the “real” recipe below. This would also be very cool at a little boys birthday party. I used store brought pudding but I will mix in chopped up Oreo cookies, everything is better with Oreo cookies, right? 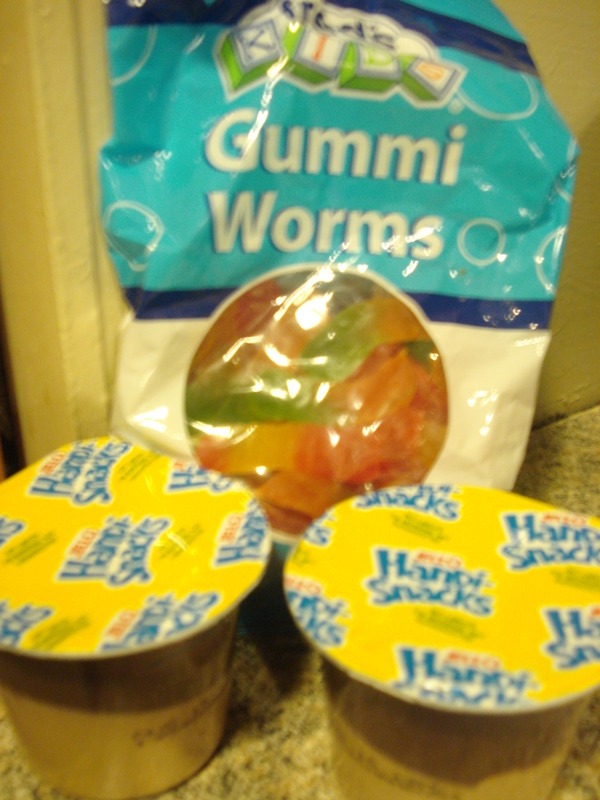 And of course you can’t have dirt without worms…gummy worms that is. 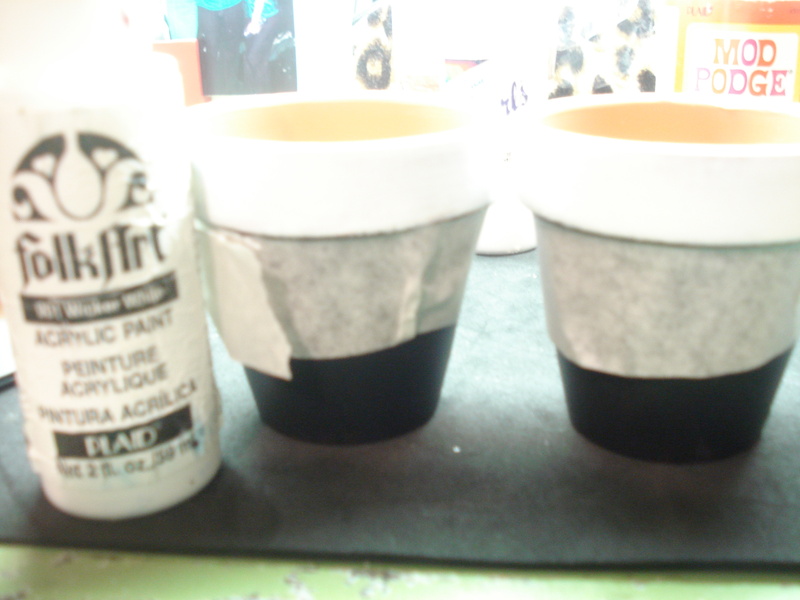 I lined the flower pots with clear wrap, so the teachers can eat right out of it. (Smarty Pants). 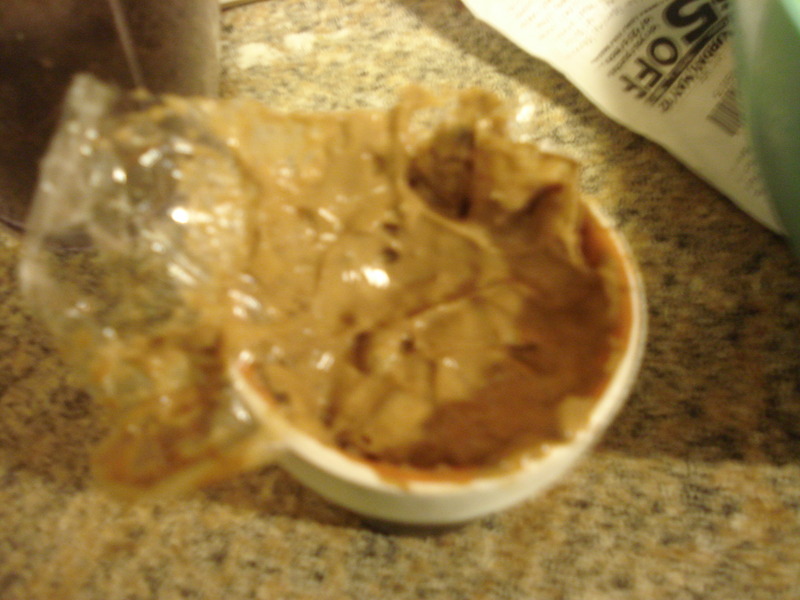 I filled it with the pudding and cut around the edge to make it look a little cleaner. 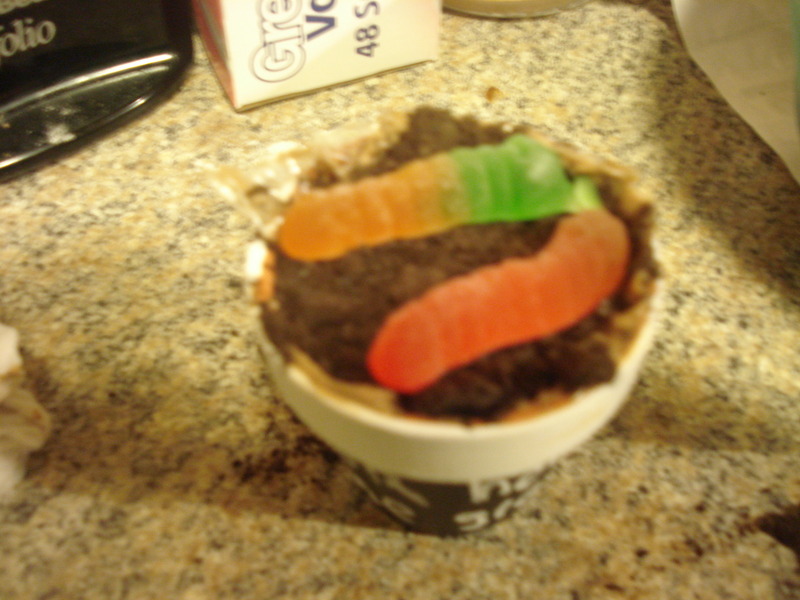 Finally, I covered the top with chopped up Oreo cookies and added two gummy worms. I also work in chalk around the flower-pot: Thank You For Helping Me Grow. So, what do you think? Is this a good idea? You want to make sure the cream cheese and Cool Whip are really soft, makes it easier to mix. Also, note the mixture stays fluffiest if instead of mixing the cream cheese mixture in with the pudding, you fold it in. And you can use more Oreos than called for. Mix Cool Whip, powdered sugar, vanilla, softened cream cheese; mix pudding mixture separately and then add to other mixture. Use foil in bottom of clay pot. 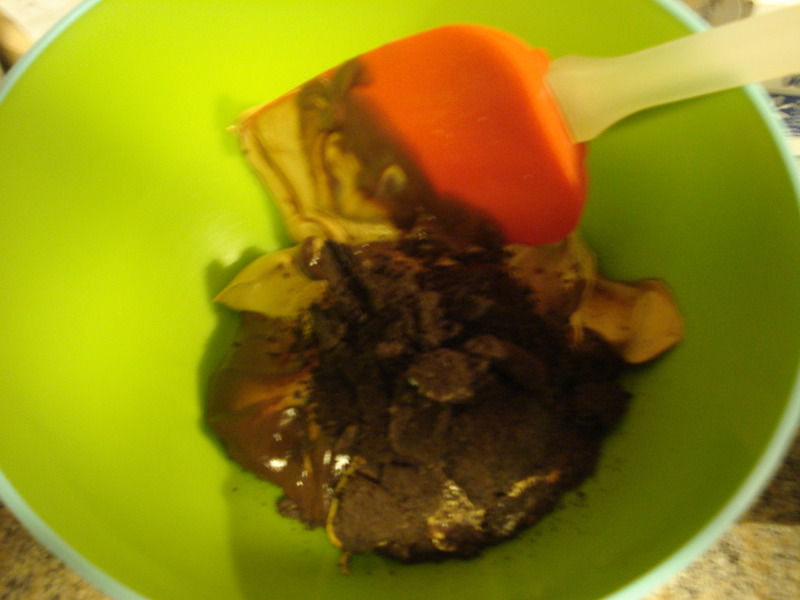 Layer Oreos, then pudding mixture, ending with Oreos on the top. Plant with artificial flowers and gummy worms. Serve with sand shovel.